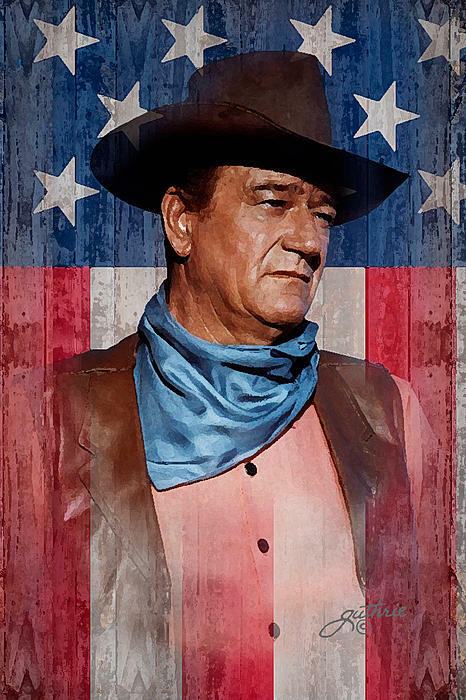 John Wayne was, and still is, one of the most iconic actors in history. He was born Marion Robert Morrison on May 25, 1907. According to his website, he appeared in 175 films over his fifty year career and was the lead in 140 of these. It also states, “President Jimmy Carter awarded him the Presidential Medal of Freedom in 1980, America’s highest civilian honor. Wayne is among only a handful of individuals who have received both the Presidential Medal of Freedom and the Congressional Gold Medal. In 1964, Wayne was diagnosed with lung cancer. Surgery saved his life by removing a lung and several ribs. He was able to continue his acting, directing and producing career for another decade and a half. He attributed this cancer to smoking six packs of cigarettes a day. In 1979, he was diagnosed with stomach cancer. It has been theorized that this was the result of his exposure to nuclear radiation while making the film 1956 film The Conquerors. Ninety-one others associated with the film including Susan Haywood and Agnes Moorehead later developed varying forms of cancer. Filming occurred in Utah downwind from nuclear weapons tests during that time. Wayne, his fellow actors and movie workers were exposed. He died on June 11, 1979 at the age of seventy-two after a bout with stomach cancer. I write about The Duke for two reasons. His family held a strong connection to pharmacy. And it was pharmacy that led The Duke down the path that eventually led him to become the actor he was. I also had the privilege of being part of his medical team as he fought stomach cancer before he died. But, we’ll save that for another day. In 1903, Clyde Leonard Morrison (Wayne’s father) left Simpson College and entered the pharmacy program at Highland Park College of Pharmacy (later to become part of Drake University) in Des Moines, Iowa. At that time, pharmacy was beginning the transformation from the practice of charlatans peddling cures from covered wagons to that of a science, a profession and a respected discipline. Clyde graduated, passed his licensing exam and became a registered pharmacist in 1905. Clyde worked initially at M.E. Smith Drugstore in Winterset, Iowa. He recognized early on that the real money was in owning the business and not just earning a salary. Clyde’s first son, Marion (John Wayne) was born during his stint at M.E. Smith’s in 1907. He opened a Rexall Drug Store in Earlham, Iowa in 1910. But the business did not thrive. When Rexall went under, Clyde worked briefly for another owner but that, too, soon ended. Clyde had developed heart trouble with a cough and shortness of breath, probably the result of a three pack-a-day smoking habit (Chesterfields). A physician recommended Clyde find a drier climate. Clyde’s father (also named Marion) had taken up residence in California. Combined with Clyde’s poor health and even poorer finances, Clyde was swayed by his father and made the move to the left coast in 1914. Clyde ended up in Glendale in 1916, working at the Glendale Pharmacy on West Broadway. Morrison, the son, (John Wayne) worked at a variety of odd jobs including helping his father in the pharmacy. Eventually, the man who would become John Wayne attended Glendale High School, became a football star and earned a football scholarship to the University of Southern California. When an accident ended his athletic career and scholarship and without funds, he left college. While at USC, Wayne worked as a prop boy and extra. There he met director John Ford who took an interest in him. With Ford’s help, Wayne’s first break came in 1929. He was cast in a Fox production of The Big Trail. If Wayne’s father had achieved success as a pharmacist in Iowa, he might have decided to stay in the Midwest. And we might have been robbed of one history’s greatest acting talents. In a future post, I’ll tell you about my brush with fame…and John Wayne. If you have interesting stories about pharmacy and the famous, I’d love to here from you: e-mail me.